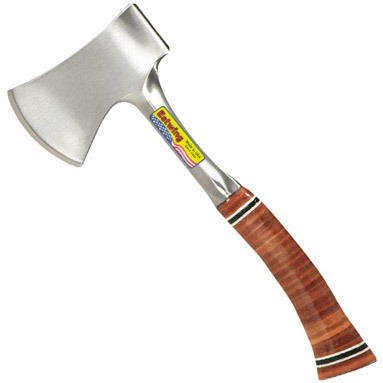 Estwing sportsman's axe 12 inch - world-renowned sportsman's axe from Estwing that is perfect for camping, hunting and many other outdoor activities. The axe is solid forged in one piece from steel to offer maximum strength and increased durability. Genuine leather handle for extreme comfort and grip. Includes nylon sheath for the ultimate protection.